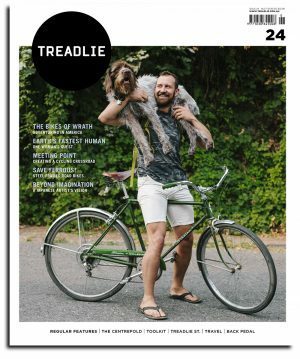 Issue 18 of Treadlie Magazine is available in stores Australia wide and available everywhere else on the iPad and Kindle from March 10th. 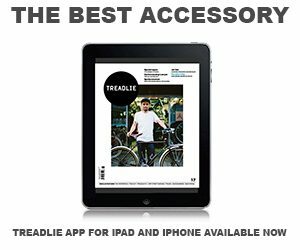 Of course our subscribers will be getting it first and if you would like to join them then you can head over here to do so. 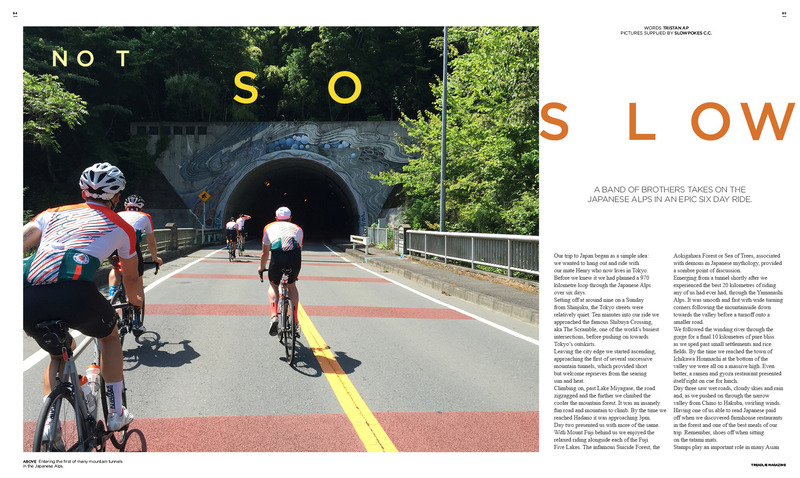 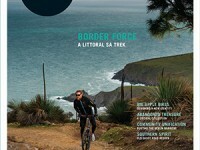 Issue 18 features Leeana James’s knuckles on the cover and stories on inspiring, and inspired, bike riders from all over Australia and the world. 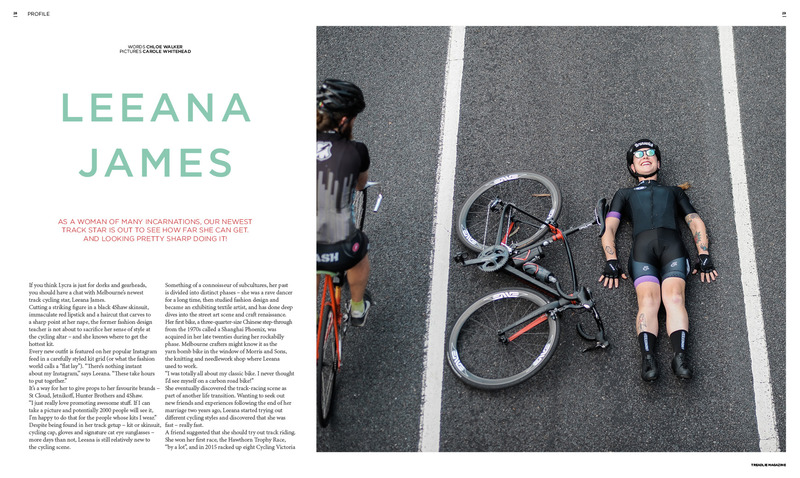 Leeana’s about to head off an exciting adventure racing in the Red Hook Criterium series, you can read all about how she got there inside. 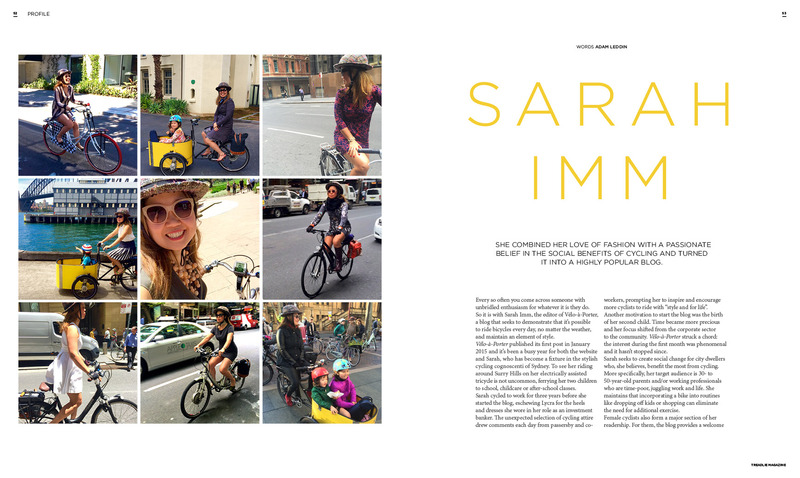 Sydney’s Sarah Imm catches up with us to talk about her blog, Velo-a-Porter and her mission to get Sydney riders on bikes with style and ease. 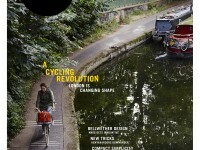 And we catch up with the guys from Bicycle Store in Paris, doing things a little differently in the French capital. 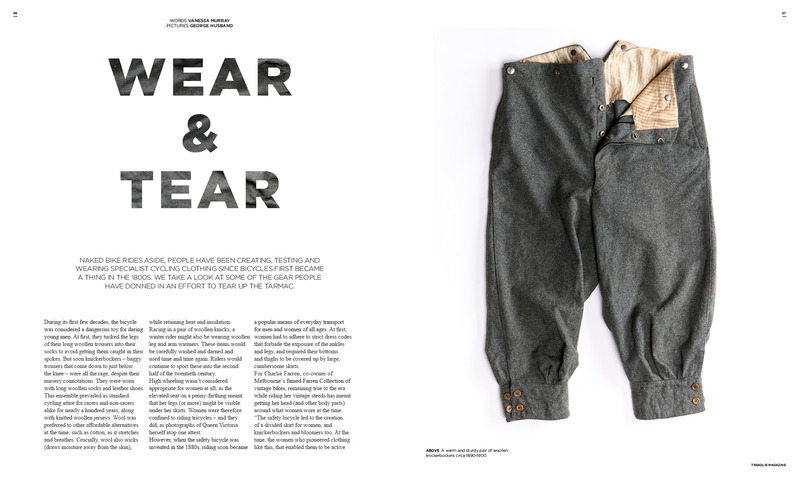 This issue has an amazing Centrefold, just perfect for autumnal foraging on the bike and we also take a look at some vintage cycling clothing and how it developed as people took to their bikes. 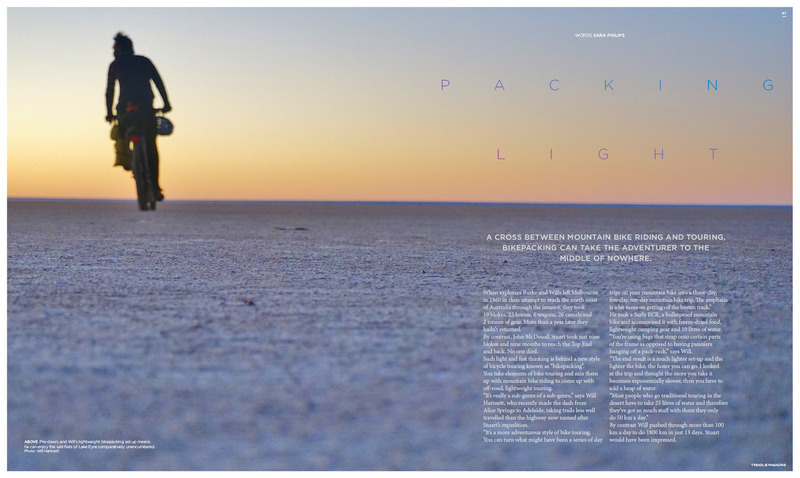 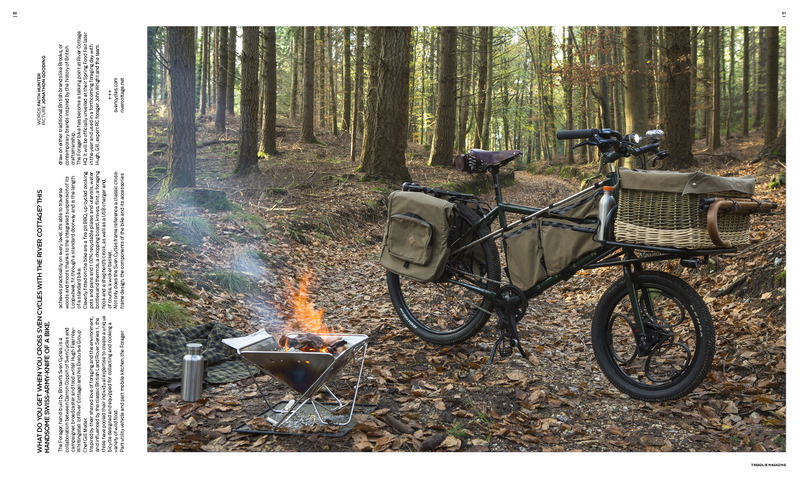 Bike packing is all the rage and we catch up with a couple of people who have made some great trips recently to look at how it’s done. 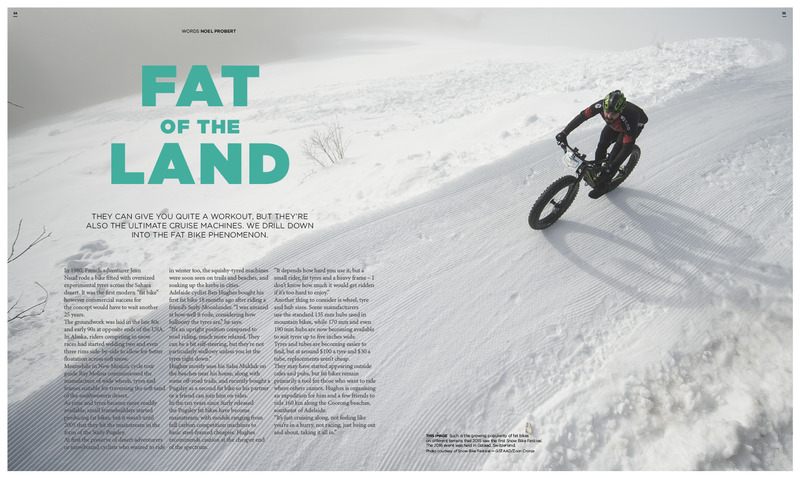 We also take a look at the range of fat bikes available and just when, and where, you might want to use them. 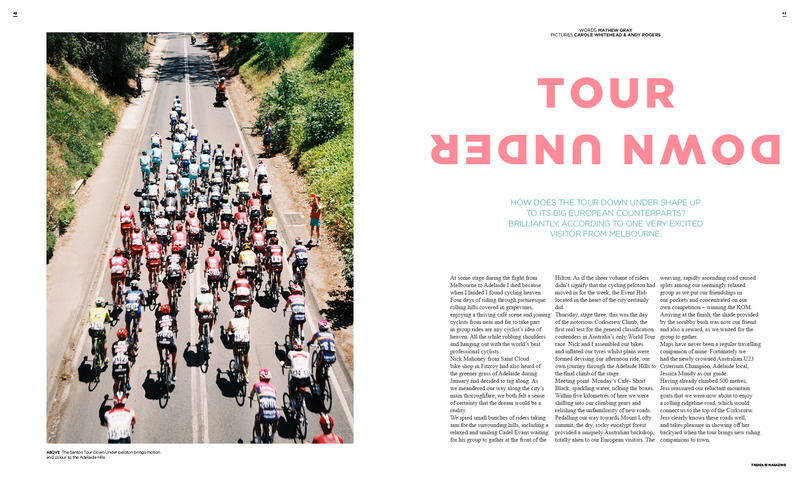 The dust has settled from this year’s Tour Down Under but it’s never too late to relive the memories of what has become an annual meet-up for many Australian, and international, riders. 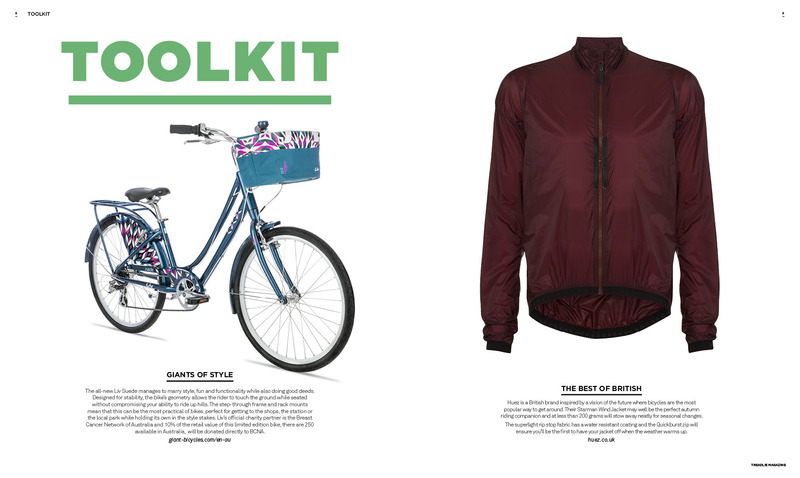 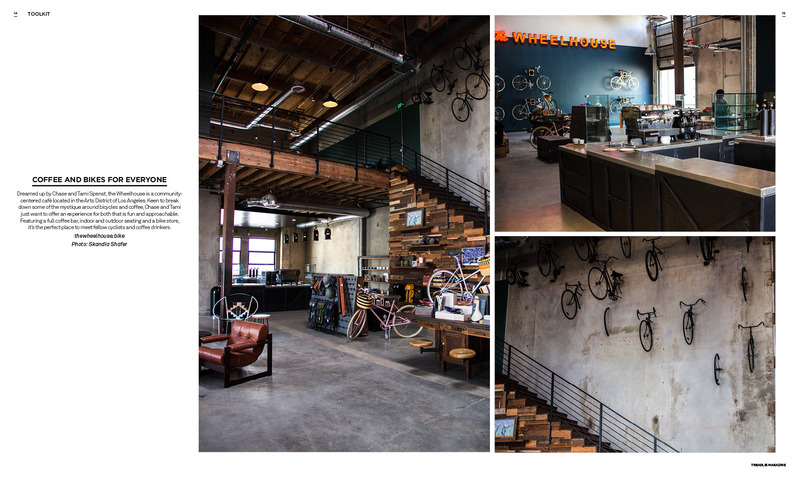 As usual there is much more, Toolkit is full of bikes, clothing, events, accessories, a great bicycle-friendly cafe from LA and much more. 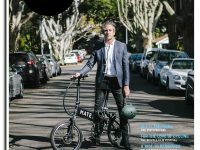 Our featured artist in this issue is Peader Thomas who sees even the most dystopian of robot futures enlivened by the presence of bicycles. 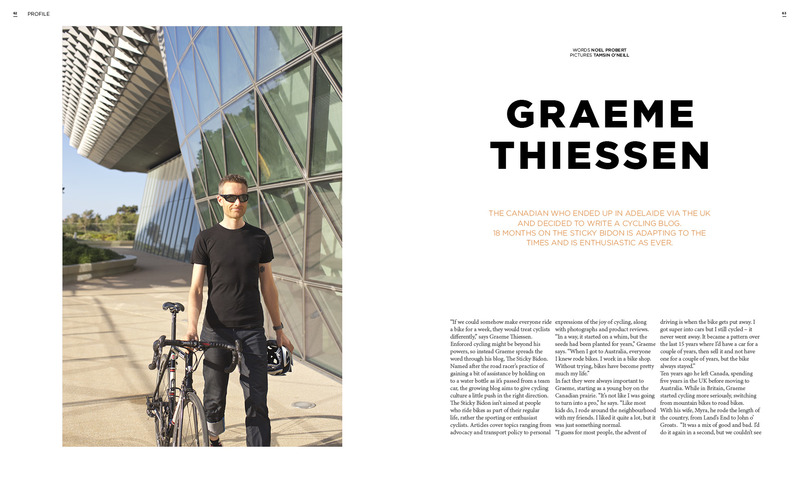 We also catch up with Graeme Thiessen of The Sticky Bidon in Adelaide and of course there is as usual, plenty of interesting people on bikes in Treadlie Street. 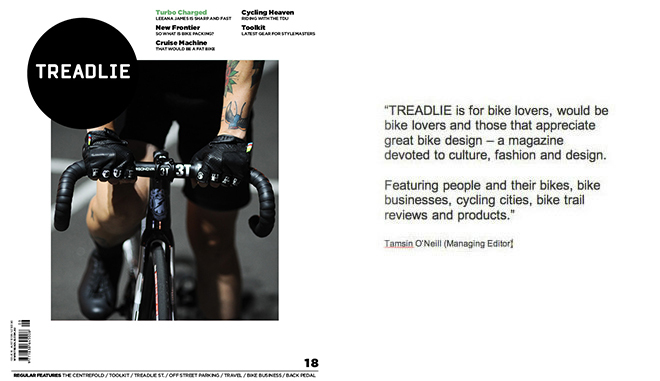 Check out Issue 18 of Treadlie from March 10th at stockists around Australia and New Zealand.